Medicaid Enrollment Spotty For Ex-Prisoners In Maryland : Shots - Health News Maryland's prisons and jails release thousands of inmates each year without helping them enroll in Medicaid, jeopardizing their health and putting communities at greater risk. Stacey McHoul said she ran out of psychiatric medicine a few days after leaving jail last year and soon began using heroin again. Jail officials gave her neither prescription refills nor a Medicaid card to pay for them, she said. 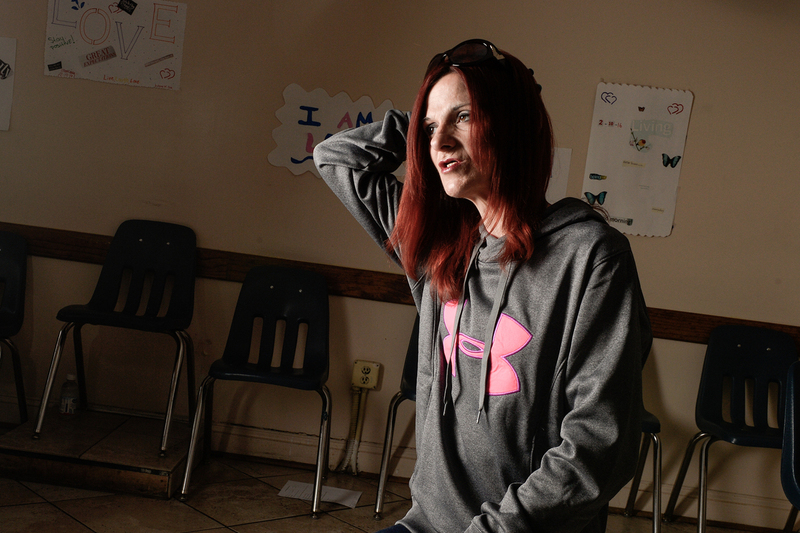 Within days she was back on heroin — her preferred self-medication — and sleeping in abandoned homes around Baltimore's run-down Sandtown-Winchester neighborhood. Thousands of people leave incarceration every year without access to the coverage and care they're entitled to, jeopardizing their own health and sometimes the public's. Advocates for ex-convicts held high hopes for the Affordable Care Act's Medicaid expansion that promised to deliver insurance to previously excluded single adults starting in 2014, including almost everybody released from prisons and jails. Many former inmates are mentally ill or struggle with drug abuse, diabetes or HIV and hepatitis C infection. Most return to poor communities such as West Baltimore's Sandtown, which exploded in violence a year ago after Freddie Gray died from injuries sustained in police custody. But Maryland's prison agency, which three years ago said it was "well positioned" to enroll released inmates in Medicaid, is signing up fewer than a tenth of those who leave prisons and jails every year, according to state data. Few other states that have expanded Medicaid under the health law are doing any better, specialists say. "We are battling, every one of us," to maximize coverage, said prison medical director Dr. Sharon Baucom, pointing to efforts to train sign-up specialists, get Medicaid insurance for hospitalized inmates and share information on mentally ill inmates with other agencies. "There are handoffs that could be improved," she said. "With the resources that we currently have, and the process that we have in place, we could do more — and we just need some more help." Some 12,000 of Maryland's 21,000 prison inmates are designated at any given time as chronically ill with behavioral problems, diabetes, HIV, asthma, high blood pressure and other conditions, according to prison officials. But given limited means and the already tall order of connecting emerging prisoners with transportation, shelter and employment, the system must focus on enrolling the very sickest, Baucom said. "It's a shame to have to make that call," she said. "People frequently ran out of their medications and did not have access to the care they needed," said Stewart, an associate professor at the Johns Hopkins University medical school. McHoul, 40, spent two short stays last year in Baltimore's Women's Detention Center. The first time the facility released her without Medicaid coverage. Shortly afterwards she landed in a hospital with an inflamed esophagus. She got out after a second jail stay in August without knowing the hospital had enrolled her in Medicaid between incarcerations, she said. At neither time did she have more than two weeks' supply of any medication, including Depakote, a mood stabilizer, she said. For some prescriptions there was less than a week's store. "It was whatever was left in the blister pack," said McHoul, who's now in a Baltimore drug treatment program. "It's like, 'Here's your supply. Sign this that we gave them to you. See you later.'" State policy is to give exiting prisoners 30 days' worth of medicine. But a court ordered McHoul released shortly after she was arrested the second time, which didn't give the jail enough time to prepare medications, said a corrections spokesman. "Maybe somebody needs prescription services and they're not enrolled and they don't know where to go," said Traci Kodeck, interim CEO of HealthCare Access Maryland, a nonprofit that connects consumers to coverage and has worked with the prison system. "Absolutely it happens. Many of them will end up in the emergency departments if we don't attempt to connect them to services prior to release." 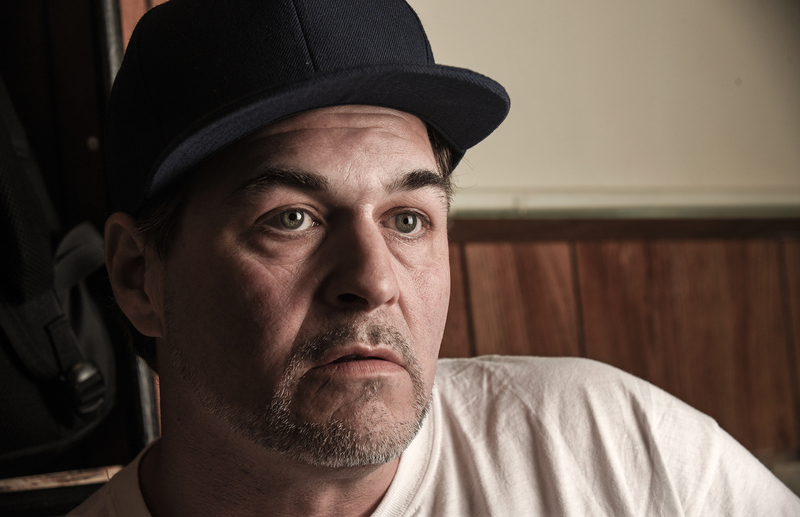 Mark Pruitt, 46, from southwest Baltimore, said lapsed Medicaid coverage meant he couldn't enter an addiction recovery program last year after he was released. "I knew what I wanted. I wanted help," he said. "I really wanted help. But it's a struggle when you're broke — no money, no insurance, feeling defeated. Where do you turn?" If administrators at a Baltimore recovery facility hadn't gotten him enrolled in Medicaid, he said, "I think I'd be dead." From January 2014, when the Medicaid expansion took effect, through March of this year, Maryland released almost 16,000 people sentenced to prison or jail, according to state data. Thousands more cycle in and out of jails each year without being convicted. Monique Wright, 35, got out of Jessup Correctional Institution last fall and began suffering acute head and neck pain caused by scoliosis, a spine curvature. Without Medicaid coverage or a primary care doctor, she said she had to seek emergency care at Johns Hopkins Bayview Medical Center. "It's the paperwork" that keeps prison officials from making sure people like her have Medicaid upon release, Wright said. "They don't want to do the paperwork. They don't have the staff to do the paperwork." Advocates wonder why the corrections system is so poor at enrolling what, they often point out, is "literally a captive audience." "They've had them housed for the past 10, 15 years," said a frustrated Andre Fisher, a case manager for ex-inmates at Druid Heights Community Development Corp., a nonprofit in West Baltimore. "What's so hard about it?" Enrolling inmates in Medicaid can take weeks, prison officials said. Sometimes the card doesn't arrive until after they're out. Computer problems slowed signups in late 2014. "It's a bad way to do it because you're getting a very small number" of enrollees by waiting, she said. A better alternative is to enroll inmates when they are booked, as Chicago's Cook County Jail has demonstrated, she said. Those incarcerated are generally ineligible for Medicaid, but putting them in the system when they enter makes it easier to trigger coverage when they leave, she added. If it's hard for the prison system to enroll inmates, it's even harder for the individuals to enroll themselves. Those who emerge without Medicaid face a maze of applications, bus trips, phone calls and queues if they want to sign up. Many don't bother. For most leaving incarceration, "it's up to you to go there, make sure you get your health insurance," said Jamal McCoy, 21, who was living with family in West Baltimore on home detention before he was released. "Most people don't go. Some people take it easy when they get home." But jails frequently lose inmate IDs, say prisoners and enrollment officials. Those locked up for years are non-persons for much of the system, with no credit records or driver's licenses. "If you're the diabetic that hasn't been compliant with your medication, you need your medication now," said Henrietta Sampson, director of treatment coordination at Powell Recovery Center, a Baltimore addiction recovery agency that works with ex-inmates. "You can't wait two weeks because you may drop dead." Compared with the rest of the population, ex-prisoners in Washington state were a dozen times more likely to die in the first two weeks after release, according to research by Dr. Ingrid Binswanger, lead researcher for Kaiser Permanente Colorado's Institute for Health Research. Drug overdose, cardiovascular disease, homicide and suicide were the leading causes of death. 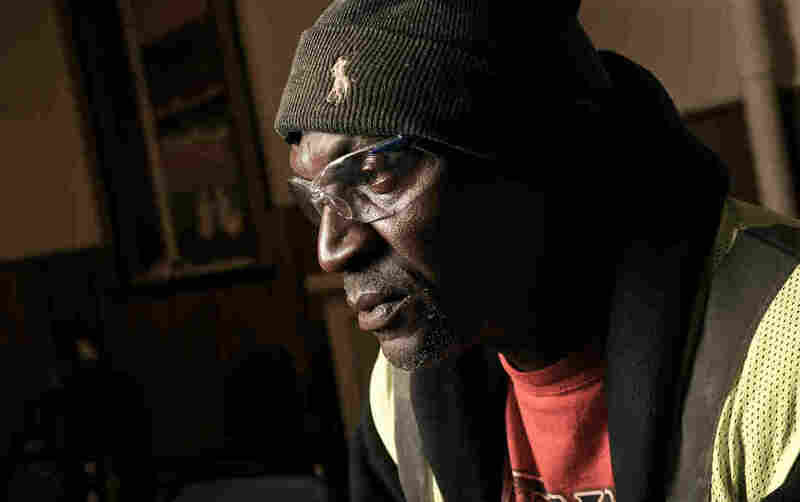 Prison officials helped enroll William Carter, 50, in Medicaid when he was released last year. But doctors told him the coverage wouldn't pay for an expensive hepatitis C drug until the virus begins damaging his liver. Yet in some cases the prison system has stymied outside groups trying to arrange inmates' coverage. Stewart's group repeatedly sought permission — "continuously, for about three years," she said — to meet vulnerable prisoners inside the facility to get an early start on enrollment and post-release appointments. It never happened. Baucom blamed the problem on "competing priorities" and staff turnover. Acceptance into Medicaid by the state isn't the end of the story. Released inmates then must enroll in a private managed care organization hired by Maryland to provide coverage. That can take weeks longer. Many prison inmates are infected with hepatitis C, which can cause liver damage or cancer over time. But the high cost of curing the disease has prompted Maryland's and other Medicaid programs to limit access to treatment to those whose livers are already compromised. "I guess I got to wait until damage is done to my liver," said William Carter, 50, adding that prison officials initiated Medicaid enrollment when he got out last year. "So a patient goes to Walgreens or wherever to fill something and it's like, 'That'll be $150,'" because he should have gone somewhere else, said Stewart. "They don't understand what the problem was." Even checking all the right boxes sometimes isn't enough for ex-inmates, who bear the double stigma of poverty and a criminal history. "It's not enough to have a card," Baucom said. "You've got to have access." "You really need to think about this as a public health issue," said Scott Nolen, director of drug treatment programs for the Open Society Institute–Baltimore, a nonprofit that works on criminal justice policy. "There is transmission of communicable diseases that happens in prison, in confined spaces. And now those folks are coming back into communities, and we want to make sure they get health care." The Justice Policy Institute, a nonprofit, called Sandtown "ground zero for the use of incarceration" in Baltimore last year, estimating that nearly one resident in 30 is in prison. "If you do the checkoff list, we've checked off everything we can do," she said, noting efforts not only to increase enrollment capacity but cooperation with the Maryland motor vehicle agency to get inmates state IDs. Jesse Jannetta, a specialist at the Urban Institute in prisoner re-entry, believes Maryland's low signup rate "is not unusual" in other states. A study published in Health Affairs found prisons and jails nationwide had enrolled 112,520 people in Medicaid from late 2013 up to January 2015, although the authors believe the actual figure was higher. "It's fair to say we're just at the tip of the iceberg" in prisoner enrollment, said Johns Hopkins' Barry, a co-author of the Health Affairs study. "Maryland is always an innovator. If Maryland is still at the cutting edge of how to do this, many areas of the country don't have any of these types of programs in place." This story came from a partnership with The Baltimore Sun and Capital News Service, which is run by the University of Maryland's Philip Merrill College of Journalism. KHN reporter Shefali Luthra and CNS reporters Catherine Sheffo, Daniel Trielli, Naema Ahmed and Marissa Laliberte contributed.